Animal welfare is a priority concern in Europe. Society rightly demands that where the use of live animals in research is necessary for the benefit of mankind and animal health, this must be done under the best possible conditions. Achieving this aim has always been the primary objective of animal laboratory science, where the focus is on the animals used in research. The cardinal importance of animal laboratory science in this process is reflected in the laws and regulations passed at the European and national level in recent years. The topic of the 56th Annual Meeting of the Society for Animal Laboratory Science (GV-SOLAS) and the 18th Advanced Training Course of the GV-IGTP, "One Health – Animal welfare for the good of all species," is meant to highlight this high priority. We, the Organizing Committee, are pleased to invite you on behalf of the Society for Animal Laboratory Science (GV-SOLAS) and the Animal Keepers’ and Technical Staff Interest Group (GV-IGTP) to Munich for our Annual Meeting, to be held from September 12 to 14, 2018! 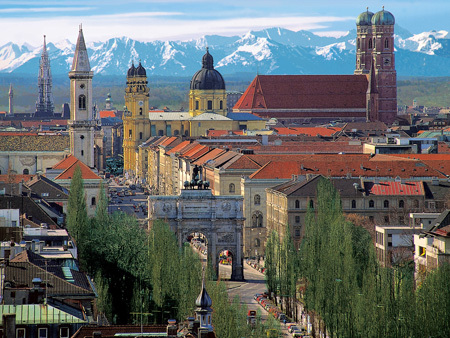 The Munich metropolitan area is not only very attractive by virtue of its scenic setting on the outskirts of the Alps and its abundant cultural offerings; with its two large universities, the Ludwig-Maximilians University (LMU) and the Technical University Munich of (TUM), the Helmholtz Zentrum München, various Max Planck Institutes and Bavarian State centers for innovation and business incubation (IGZ), and numerous companies operating in the biosciences, it is also home to a broad range of academic and scientific excellence and expertise. In line with our long-standing tradition, in Munich we will again discuss the latest developments, improvements and discoveries in animal laboratory science. The topics from basic and translational research range from "A" for Alzheimer to "Z" for zebrafish and provide ample fuel for debate, the opportunity to exchange findings, ideas and proposals, and for ongoing vocational training. Moreover, the new research facilities that have emerged in Munich in recent years reflect the progress achieved in research and the latest demands placed on animal laboratory science. As a vibrant element and central venue for communication, the Annual Meeting will again feature a showcase industry exhibition where companies will be able to present their latest developments and tried-and-tested products for benign breeding and animal welfare practice and for fruitful research. We look forward to seeing you there, to lively debates, and to stimulating scientific exchanges! The meeting will be certificated with 12 hours and the FELASA Workshop with 2 hours after § 10 ATF-Statutes.